Accessories can make or break your look. When choosing fashion accessories to match your outfit, consider the color, scale and style of the pieces, and keep the occasion in mind. When you’re wearing black, white or other neutrals, accessories in any color look stylish and coordinated. If you’re wearing a colorful outfit, though, make sure your fashion accessories don’t clash. 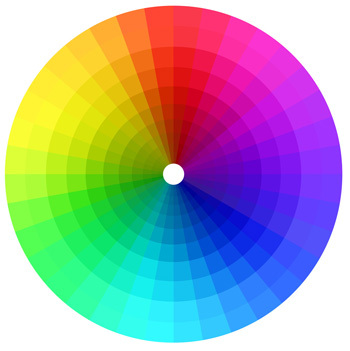 It all goes back to the basics of the color wheel. Primary colors, of course, are red, blue and yellow. Secondary colors are those that result from mixing two primary colors (i.e., red plus yellow equals orange). Primary and secondary colors that are side by side on the wheel are analogous to each other. They work very well together when they are matched on the same level of lightness or darkness. If you want to make a big fashion statement, choose primary and secondary colors that are opposite of each other on the wheel. Pairing these colors is bold and adventurous, and some shades don’t look as good together as others. Avoid partnering red with green, though, unless it’s the holiday season. Experiment to find which colors work best for you. In general, don’t use more than three colors in your whole ensemble. The scale of your fashion accessories is important, too. When you’re wearing patterns, simple accessories are the best option. Accessories and jewelry that are too busy will make prints look tacky. The same goes for ruffled, sequined, embroidered or otherwise embellished garments: Wear understated accessories to keep the emphasis on your outfit. The scale and shape of your handbag is also important. Consider your body type in addition to what you are wearing. Tall, thin women look best with short, slouchy bags such as hobos and clutches. Petite women should avoid oversized satchels; these bags overwhelm their small frames. Short ladies should also steer clear of handbags with long straps. Plus-size and hourglass-shaped women look fabulous with medium-sized structured or boxy handbags to balance out their curves. Accessories can take any outfit from drab to fab. They can also help extend your wardrobe because you can achieve multiple looks from one basic dress just by changing your accessories. To look your best, put as much effort into selecting your fashion accessories as you do the main components of your ensemble.